New London is taking an appeal to the NH Supreme Court. The New London select board voted unanimously to appeal a Superior Court ruling to the NH Supreme Court. The action stems from a case where, summer resident Robert Carr and others had appealed to Superior Court after the town refused property tax abatement after their home burned. NH law sets a time limit for requesting relief, and the plaintiffs were sent letters and e-mails alerting them to the deadline, but Carr failed to file timely. The judge said the plaintiffs were entitled to relief for $8,300. 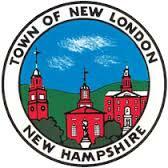 New London’s Town counsel feels there is a good chance of prevailing on appeal. The board voted after weighing the possibility of saving the $8,300 against the $7,500 cost of the appeal.